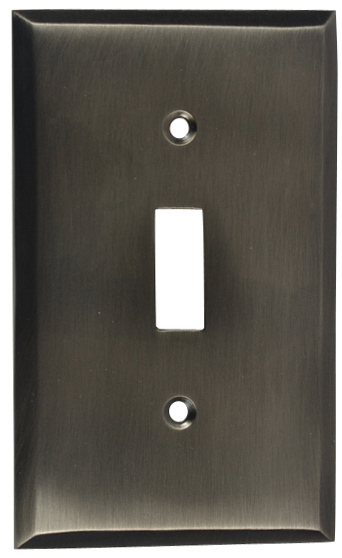 Solid Brass Traditional Pattern Switch Plate (Antique Nickel Finish) - Comes complete with mounting hardware. Available in 12 different configurations and Polished Brass, Antique Brass, Oil Rubbed Bronze, Polished Chrome, Brushed Nickel, and Antique Nickel finishes. Click the picture to see all configurations.